1798 Land Grant, Moore County, NC #0238 - John Morgan Sr.
[S1132] Falls County, TX Biographies [http://www.rootsweb.ancestry.com/~txfalls/]. George Morgan, b ca 1770, d January 1, 1839 at Morgan's Point, in what became Falls County, Texas, when Indians attacked his log cabin home. George and his wife had moved to Georgia by 1804, thence to Wil­cox County, Alabama where most of their children were born. In 1830, he was listed on the Alabama Cen­sus, along with the husbands of two of his married daughters and their relatives. The Morgan family left for Texas February 10, 1833, and first settled one mile below present day Mar­lin on December 1, 1833. Mr. and Mrs. Morgan, and most of their married and single children, settled in Robertson's Colony, where George Morgan received a grant for a league of land on the Brazos River about seven miles north of the Falls, in September 1835. The family was in the "Run Away Scrape" of 1836, but were among the first, along with John Marlin, to re­turn to their land in present day Falls County. The Morgans constructed a log cabin at a place on the river that later was proved to be an Indian Burying Ground. The couple had eight known children who were all listed as heirs to their parents estates. When the Indians attacked on January 1, 1839, the home was occupied by Mr. and Mrs. Morgan then about seventy years of age, a daughter Sarah (Morgan) Jones and her two children: Andrew Jackson Jones and Wesley Jones; two daughters in law, Amanda (Barton) Morgan wife of Andrew Jackson Morgan, and Stacey Ann (Marlin) Morgan wife of William J. Morgan, and three of Stacey Ann's young siblings (their mother, Nancy Taylor Marlin, having died in 1837) were visiting her while their father, James Marlin, was away: Adeline Marlin, then age 16 years, Mary Marlin, then age 12 years, and Isaac Marlin, then age 10 years. The younger men and husbands had gone to do the evening chores late that afternoon when the Indians attacked. Five of the occupants of the log cabin were scalped and killed including Mr. and Mrs. George Morgan, Amanda (Barton) Morgan, Adeline Marlin, and Andrew Jackson Jones. Stacey Ann (Marlin) Morgan was wounded, but feigned death, and was left alive. The three young children, Mary Marlin, Isaac Marlin, and Wesley Jones, hid outside until the Indians had gone; then Isaac ran the seven miles to the home of his uncle, John Marlin, near the Falls. When all the men reached the site of the tragedy, Stacey Ann was still alive. The victims were buried in one grave near the site. The log cabin was still standing when John A. Fortune bought the estate property, and it was lived in by one of his descendants for several years, and they were never able to remove the blood stains from the floor. The cabin burned after 1900. An historical marker was erected by the State of Texas in 1936 at the location of the Morgan Massacre, and the place is still known as "Morgan's Point." For the sons, sons in law, and grandson in law, this was only the beginning of their fights to make the area safe for the settlers. Barba Morgan, b 1804 in Georgia, d January 1853 in Falls County, Texas married about 1831 in Ala­bama to Margey (maiden name unknown), b 1817 in South Carolina. They remained in Alabama until after Texas entered the Union, and had three children: Wil­liam Clark Morgan, b 1832 in Alabama married May 4, 1872 to Lucy Lochridge; Mary Ann Morgan, b 1842 in Alabama?married March 21, 1861 to Joel M. Neil, b 1837 in Alabama; and James M. Morgan, b 1846 in Alabama. Joseph Morgan, born in Georgia no further in­formation, except that he was named as one of the heirs of his parents' estate. Daughter Morgan, b ca 1809 in Georgia, died be­fore 1850 married in Alabama to Shadrack Maness, and had three children: Sarah Maness, b ca 1827 who married Jeremiah McDaniel prominent figure in the Indian fights and in the organization of Falls County; John Maness, b ca 1829; and Allen Maness, b ca 1831 in Alabama, who participated in the organization of Falls County. George Washington Morgan (called "Wash"), b No­vember 15, 1811 on the Ocmulgee River, Georgia, died at his home near the Brazos River after 1874, and was buried there. Wash married Mrs. Mary Ann Freestone, b 1817 in Illinois, who had two daughters by her pre­vious marriage: Melissa Freestone, b 1840 in Illinois; and Mariah Freestone, b 1842 in Illinois. Wash and Mary Ann had no issue. On January 10, 1839, Wash was wounded in the battle in pursuit of Jose Maria ?the Indian Chief. The log cabin built by George Wash­ington and Mary Ann Morgan was subsequently do­nated to the Strecker Museum in Waco, Texas, by des­cendants of Robert Allen Oakes, who had bought their property. Sarah Morgan, b ca 1813 in Alabama married Wiley Tibeus Jones in Alabama. They had Wesley Jones, and Andrew Jackson Jones the latter being killed in the Indian Massacre on January 1, 1839. Sarah, a widow, shared in the estate of her parents, and moved away from Falls County. Andrew Jackson Morgan, b ca 1817 in Alabama, d 1845 in one of the last Indian fights in the area mar­ried first on May 28, 1838 in Robertson County, Texas to Amanda Barton, who died January 1, 1839 in the In­dian Massacre; married second on March 19, 1839 to Jane Morrow, and they were divorced; and married third on January 5, 1843 to Catherine Hill. Andrew was involved in all of the Indian battles in the area, and served in the Texas Army. After his death, Cath­erine (Hill) Morgan was married second to W. H. Wil­son on July 16, 1849. 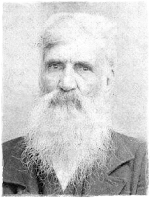 William J. Morgan, b 1818 in Alabama, d Novem­ber 5, 1862 in Falls County, Texas married in Rob­ertson County, Texas on July 20, 1838 to Mrs. Stacey Ann (Marlin) Golden a daughter of James and Nancy (Taylor) Marlin. The George Morgan family were true pioneers and Indian fighters, who paid their way in Texas in blood and tears. Most of the descendants who remained in Falls County were those of William J. and Stacey Ann (Marlin) Morgan. Copyright Permission granted to Theresa Carhart and her volunteers for printing the biographies of these Falls County Families to this web page. Families of Falls County, compiled and Edited by the Falls County Historical Department, pp. 317-319.